480 million years ago, a slug-like ancestor of modern snails and clams had hundreds of tiny teeth, a body covered in prickly spines, and a built-in helmet. Called Calvapilosa, it’s one of the earliest — and weirdest — mollusks ever discovered. Researchers from the University of Bristol and Yale University say the newly described species, Calvapilosa kroegeri, represents a very early stage in the evolution of mollusks, a diverse set of terrestrial and aquatic animals that includes octopuses, squids, snails and clams. Importantly, the discovery suggests that mollusks already featured a single shell at this stage, as exhibited by the helmet-like armour on its head. A research team led by paleontologist Jakob Vinther analysed seven fossils discovered in the late 2000s at the Ordovician Fezouata Formation, a fossil-rich deposit in Morocco. Two of the fossils, an adult and a juvenile, were complete, allowing the researchers to reconstruct the ancient critter to an extraordinary level of detail. Indeed, the samples were so good that the scientists were able to identify the rows of prickly spines that protruded from its upper body (its name means “hairy scalp”), and its radula — a mouth with hundreds of tiny teeth arranged along more than 125 rows. The presence of the radula, a defining feature of a particular clade of slugs, confirmed that the newfound species was indeed a mollusk. 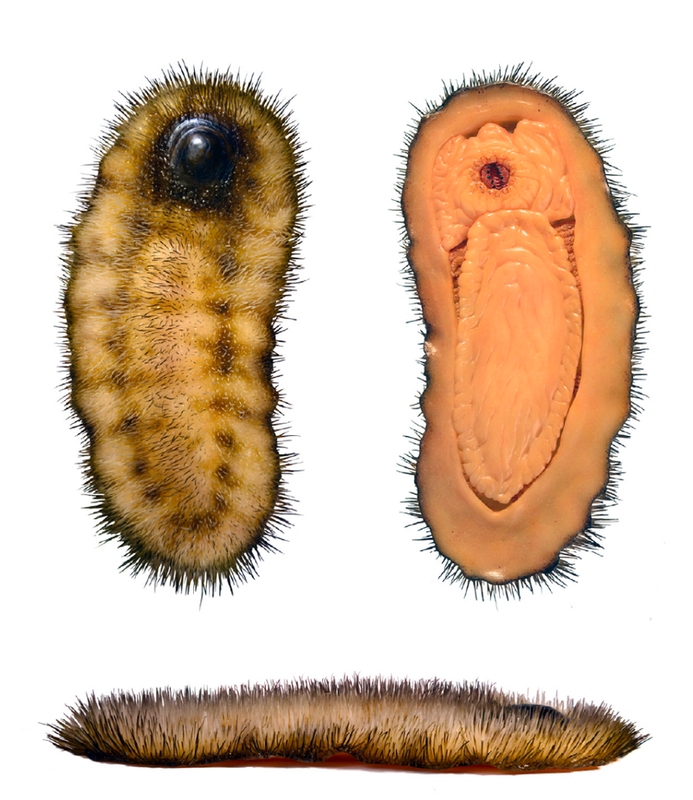 The fuzzy, four-inch-long creature used its plethora of teeth to rake up food, such as algae coating rocks. Mollusks emerged about 520 million years ago, quickly expanding into a multitude of distinct groups during the early Cambrian period. Their diversification was packed into a relatively brief interval of time — about 20 million years — making it difficult for scientists to reconstruct the stages of their ancestral development.